SPAIN BAREBOAT CHARTERS - The ultimate in privacy & freedom, bareboat rentals are for groups having their own qualified skipper. Hiring a captain and or hostess/cook always remains an option. For a list of our available Bareboat yachts, please Click Here. With a hive of activity all year round, natural beauty, sandy beaches, small fishing villages, history and culture, Spain holds something for everyone and more. 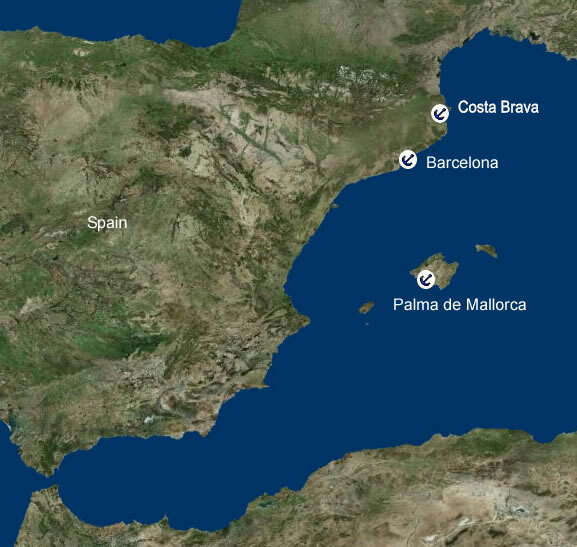 Barcelona Base: Barcelona is the capital of the region of Catalonia and the second largest city in Spain. It hosts one of Europe's principal Mediterranean ports, and a wealth of cultural and architectural sights like Gaudi's famous cathedral La Sagrada Familia or the landmark venues of the 1992 Olympic Games, making it a major tourist destination offering shopping, dining, nightlife and sightseeing alike. 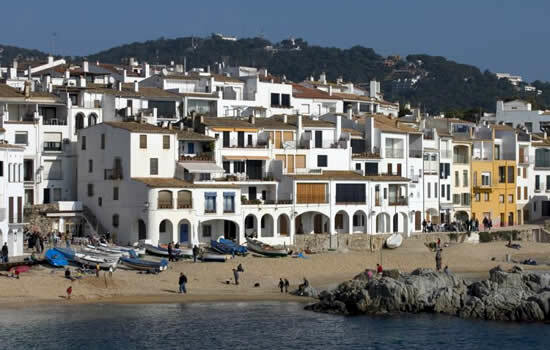 Rosas Base: The former Greek colony of Rosas is located on the Costa Brava. Not only is Rosas known for being a fishing center it is also a tourist hot spot. Fishermen villages and resorts alternate along the coast. The coast also features many beaches and coves among the Rosas rocky cliffs. Visitors can enjoy a great variety of water sports as well as walking in the nearby Cap de Creus Natural Parks. Palma de Mallorca Base: Palma de Mallorca is the capital of the Balearic Islands and the largest city in Mallorca with a cosmopolitan look, many shops, restaurants, and other activities for visitors. Because of its beautiful landscape and mild, sunny climate, Mallorca is popular with tourists from all over Europe and the rest of the world. Bellver Castle and La Seo Cathedral are highlights of the city while all over the island sandy beaches, secluded bays and seaside villages await.